Daily Distractions: Where Hank Conger shines on defense; Yu Darvish gif, etc. One of the Angels’ catchers is among the top five in the league at framing pitches. Who would have guessed it’s Hank Conger? Oh, and the Angels’ starter, Chris Iannetta, is among the bottom five. Treat everything you read in today’s Baseball Prospectus article with the caution due a 21-game sample size — four, if you include only the games Conger has caught. 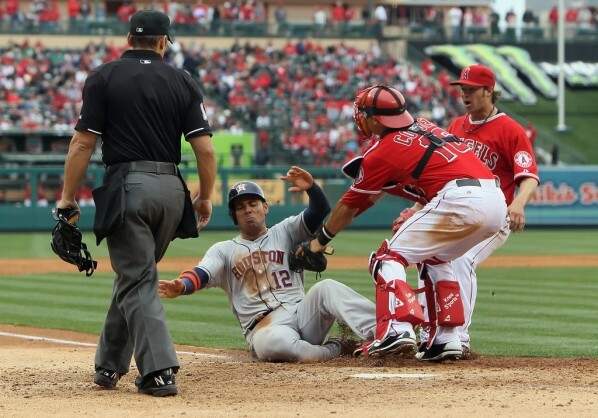 But there was a point in spring training where merely making an late, accurate throw to second base was enough to lift Conger’s spirits, and this article sheds light on another area of his progress defensively. For all the nuances that go into fielding the catcher’s position, framing pitches is an easy one to miss. It’s dependent on the pitcher (to find the corners of the plate) and the umpire (to be swayed into calling a pitch based on how it’s received), in addition to the catcher. 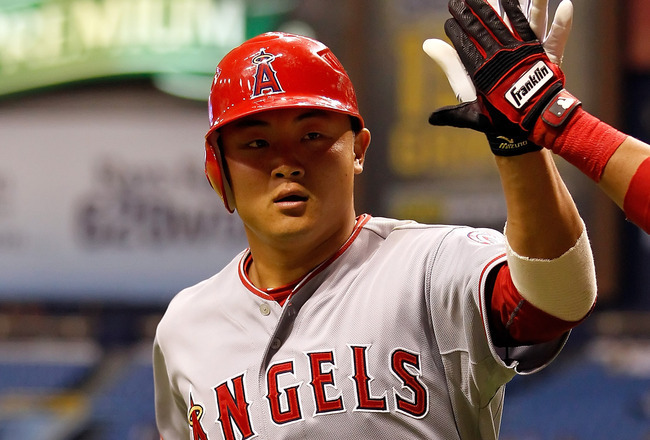 Three throws can do a lot for embattled Angels catcher Hank Conger. Angels catcher Hank Conger made three throws to infielders in Thursday night’s exhibition game against the Texas Rangers. Two came on stolen base attempts at second; both runners were safe. The other came when Conger tried to pick off the runner at first base, starting a rundown that resulted in Leonys Martin being caught stealing, 2-3-4 in your scorebook. It was only three throws and only an exhibition game in March. 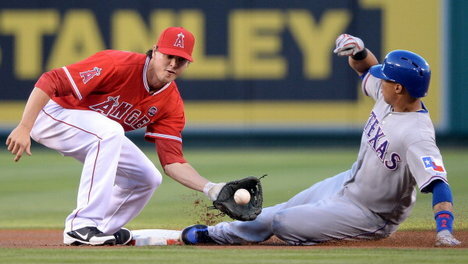 Postgame thoughts: Rangers 10, Angels 9. If it were a regular-season game, you’d be talking about it tomorrow. Josh Hamilton’s first game against the Rangers was overshadowed by a lot of things: a walkoff hit, a four-homer inning, a complete implosion by Jerome Williams and — stop the presses — three damn fine throws from behind home plate by Hank Conger. But since it’s only spring training (checking my watch, yup, one more week…) it’s getting the postgame bullet-point treatment for posterity.